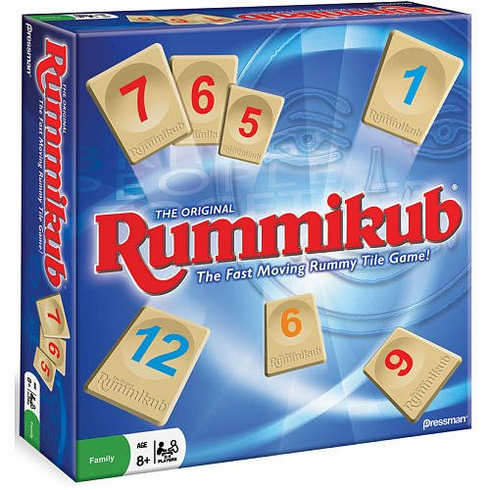 Rummikub is played with 106 sturdy tiles. It's similar to Rummy in that you want to get a hold of runs of the same colors - Blue 6, Blue 7, Blue 8 - or sets of the same number - Yellow 1, Black 1, Red 1. It's a fast-paced game filled with last minute turnovers. There are wild joker tiles to toss some luck in with all of the strategizing. Comes with 106 engraved plastic tiles, 4 two-tier racks, 8 rack holders, and instructions.